Fore! Can I Be Sued for an Errant Shot on the Golf Course? "I believe Dan truly cares for his clients, and in this day and age, that's hard to find." D.B. Now that spring is upon us and golf courses around Illinois are opening their doors for business, it’s time to have a discussion about liability on the golf course. All golfers (myself included) have suffered their share of the slices, hooks, and duffs while playing in a Sunday foursome. Hitting the ball straight can seem downright impossible at times. All of us have been forced to yell “Fore!” after sending a tee shot into another group in an abutting fairway. Most of us understand that there is some inherent risk in stepping onto a busy golf course with at least a few marginal players. But does negligent conduct on the golf course subject a golfer to liability? Can I be sued for hitting an errant tee shot off Number Eleven that ricochets off a tree and hits Old Aunt Jenny in the fairway on Twelve? The answer, at least in Illinois, is – it depends. In Illinois, the general rule governing our conduct toward others is that a person owes a duty of ordinary care to guard against injuries to others that may result as a reasonably probable and foreseeable consequence of negligent conduct. That means that if you partake in any conduct that is reasonably foreseeable to cause harm to someone else, you could be held liable for those injuries. However, Illinois courts have created an exception to this general rule in the context of sports. Voluntary participants in contact sports are not liable for injuries caused by simple negligent conduct. In a contact sports setting, a person must show their injuries were caused by “willful and wanton misconduct,” meaning the violator intentionally hurt them or showed a conscious indifference for the safety of others. In non-contact sports you can be held liable for conduct that could be reasonably foreseeable to cause injuries to others, whether intentional or not. In contact sports, you must intentionally hurt another player or show such a conscious disregard for the safety of others as to trigger liability. In our view, golf is simply not the type of game in which participants are inherently, inevitably or customarily struck by the ball. . . . There is never a need for players to touch one another. Rather, golf is a sport which is contemplative and careful, with emphasis placed on control and finesse, rather than speed or raw strength. . . . In such an environment, players have the time to consider the consequences of their actions and to guard against injury to those who may be in harms way. So, it is unlikely that you will be held liable after your tee shot ricocheted off a tree and hit Old Aunt Jenny. 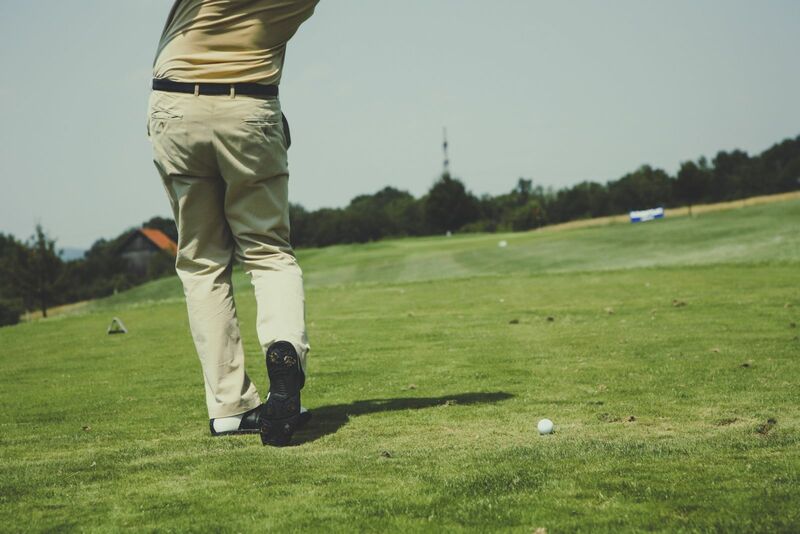 However, if you hit your tee shot on a Par 3 before the foursome before you has reached a safe distance from the green, and your ball hits one of them and causes injuries, you could be liable. Pfister v. Shusta, 167 Ill.2d 417, 420 (1995). Zurla v. Hydel, 289 Ill.App.3d 215, 221 (1st Dist. 1997).